The PHH-715 model has been discontinued. Please see the PHH-128 as a possible alternative or contact our Flow Engineering Department. The PHH-715 digital pH meter provides a full scale, 0 to 14 pH measurement. 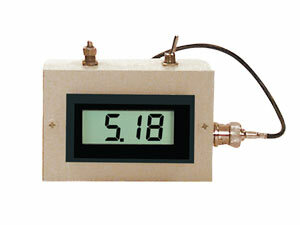 This pH meter has available a bracket for wall mounting or can be used as a portable unit. The PHH-715 can be used with the ac power adaptor or from the supplied 9V NiCAD battery. 참고: All units come complete with battery, ac power adaptor and operator’s manual.